Our range of products include stacker conveyor, belt conveyors, slat conveyors, chain conveyors, powered roller conveyor and industrial chip conveyors. We are the leading manufacturer of Stacker Conveyor and our product is made of good quality. The wide array of Belt Conveyors designed by us is of superior quality which offers automated operations. 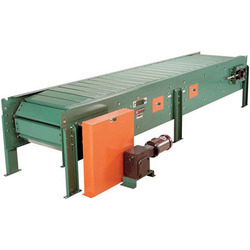 These belt conveyors are available in different varieties and are extensively used in different industries. Also, we are competent in designing our belt conveyors as per the specifications of the clients. 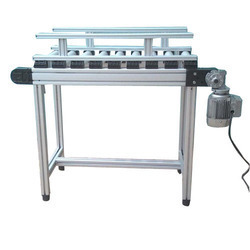 A broad range of superior quality Slat Conveyors is offered by us. 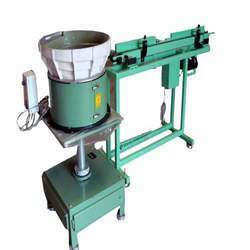 These are used in various industries for the handling of bulky and heavy material from one place to another. Our range of product is made from high-quality stainless steel. We offer these to our client at market leading prices and as per the specification of our respected clients. The wide assortment of Chain Conveyors catered by us is of excellent quality and is extensively used for feeding hot billet and forging press. These chain conveyors are provided with two ejectors in which one is used for dropping out under heated billets and other is used for rejecting the overheated billets. 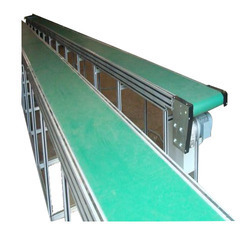 We are leading manufacturer of Powered Roller Conveyor and our product is made of good quality. We offer Industrial Chip Conveyors that are available in various designs and performance configurations. 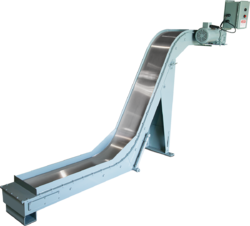 Our chip conveyors have a hinged belt to effectively handle various chips, borings, turnings and other metal scraps. We tailor our chip conveyors as per the volume of chips being conveyed and the work area layout. By streamlining the chip conveyor design, we have simplified the maintenance process of our chip conveyors. We are manufacturing and supplying a qualitative range of Magnetic Chip Conveyors. These magnetic chip conveyors are provided with enclosed construction and with no external moving parts to get jammed and break. 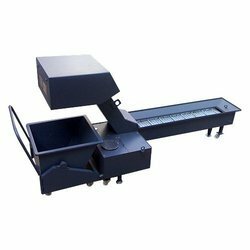 Also, these magnetic chip conveyors are available in different sizes and shapes as per the volume of material and working conditions. 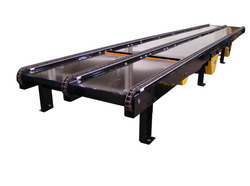 We cater to the requirements of various industries and offer quality range of Free Roller Conveyors. Designed in compliance with international quality standards, these conveyors have gained wide appreciation for precision functioning and efficient conveying of bulk material. 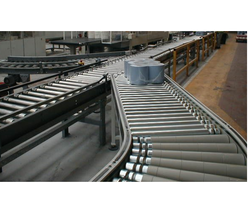 We also customize design conveyors in accordance with the application and customer requirements.